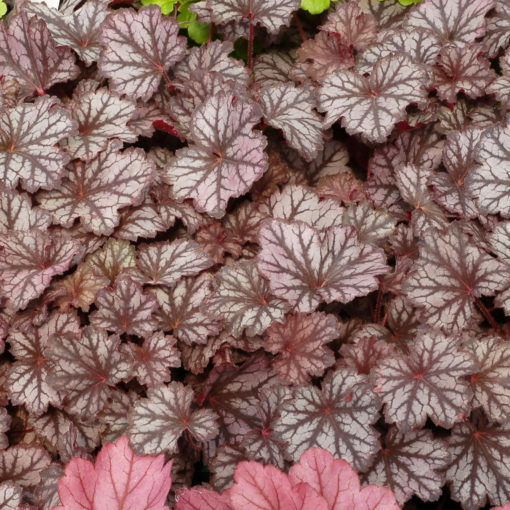 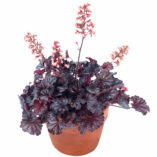 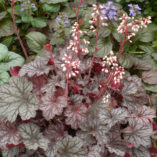 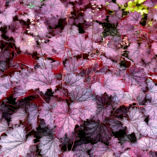 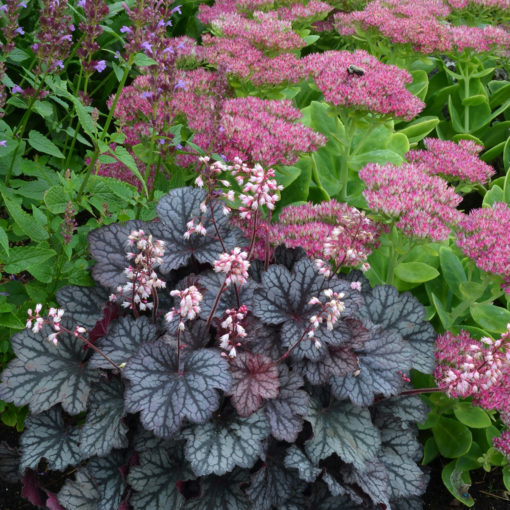 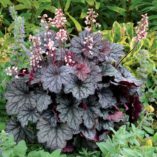 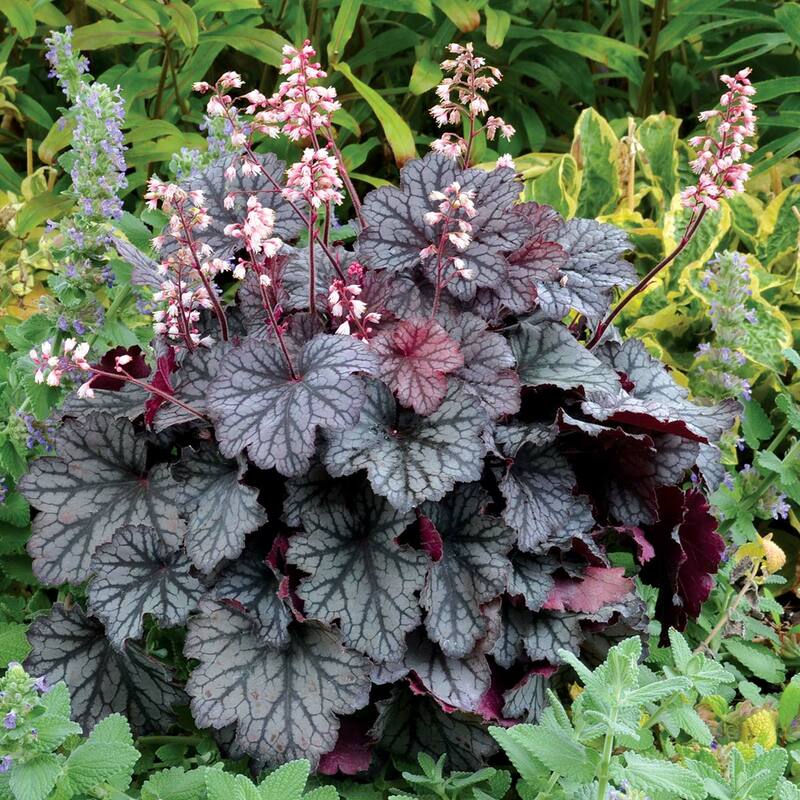 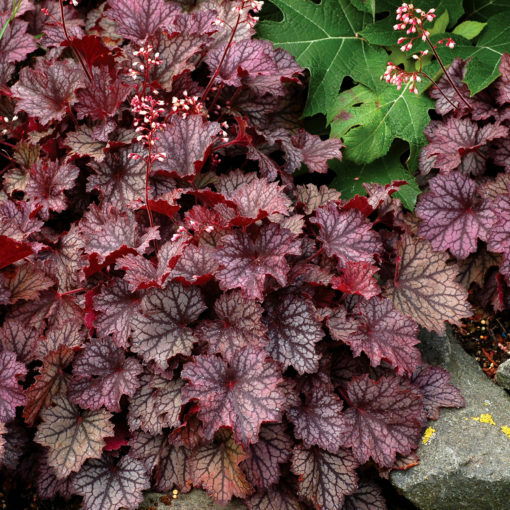 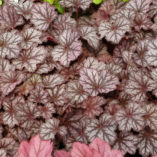 Heuchera ‘Frost’ | TERRA NOVA® Nurseries, Inc.
Well-silvered year-round, 'Frost' has small leaves with dark burgundy veins in the spring, to dark with just a touch of violet the rest of the year. 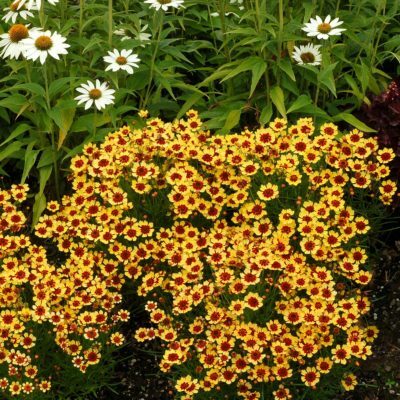 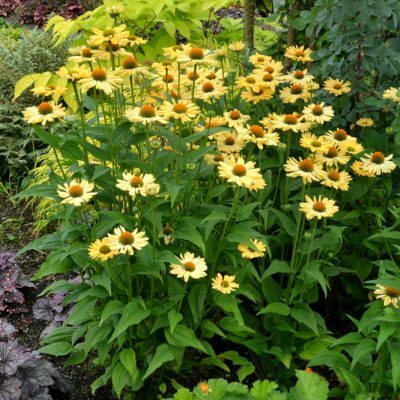 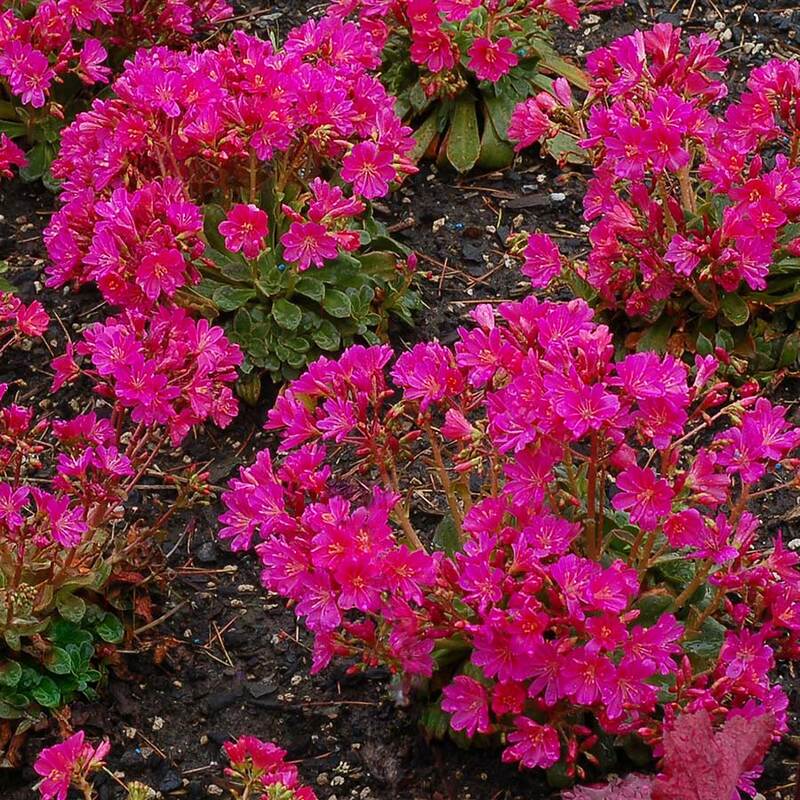 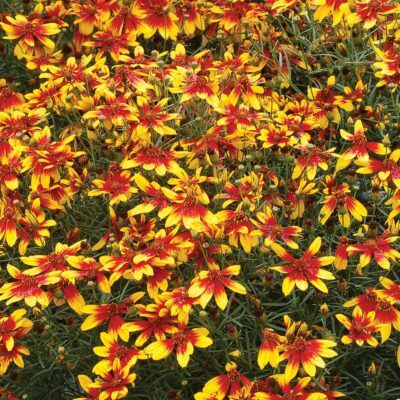 The multiple crowns bloom with short stems of light pink flowers in spring, summer, and fall. 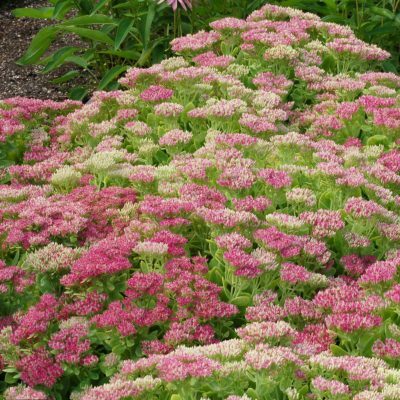 'Frost', will warm your heart. 6" / 8" / 9"
Compared to 'Petit Marbled Burgundy', it has more veiling, darker, rounder leaves, shorter flowers, and longer bloom time.